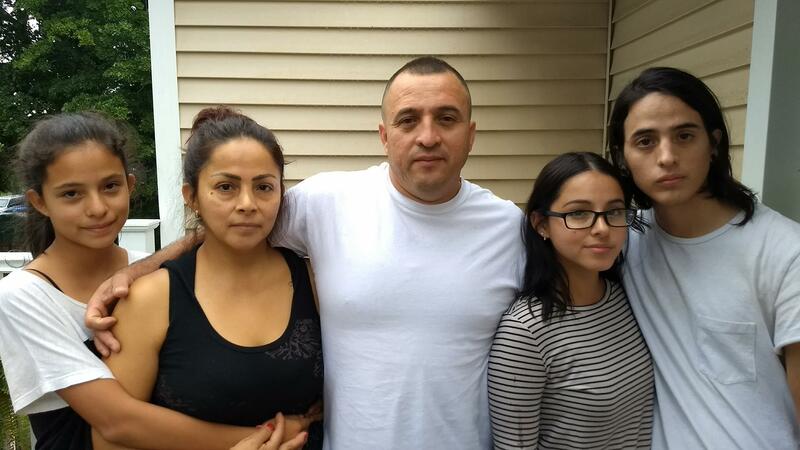 Marco Antonio Reyes and his family are fighting his deportation order with the help of the Connecticut Immigrant Rights Alliance. Photo courtesy of CIRA. NEW HAVEN, Conn.—A planned protest march turned into a victory march for Nury Chavarria when she was granted an emergency stay of deportation six days after taking sanctuary at Iglesia de Dios Pentecostal. Overwhelming community support from across the state and at every level of government had forced U.S. Immigration and Customs Enforcement (ICE) to reconsider. Yet even as the march went through the neighborhood, discussions were underway about how to support the growing list of known deportation orders around the state. Across the country immigrant rights activists, attorneys, clergy and local elected officials are hard at work strategizing about how to protect their neighbors and co-workers from wanton targeting and deportation. It is a crisis for thousands of families in Connecticut and nationally. Within a week, the Connecticut Immigrant Rights Alliance (CIRA) and Unidad Latina en Acción were outside Immigration Court in Hartford holding a press conference to stop the August 8 deportation of Marco Antonio Reyes Alvarez. Reyes’ new lawyer has filed a motion to reopen his case so he can seek permanent residence. If Reyes is returned to Ecuador his life will be endangered, and he will be in a forced separation from his wife and children for ten years. The case brought U.S. Senator Richard Blumenthal back from Washington at a moment’s notice. “When I heard about this rally I was on the floor of the U.S. Senate voting for a bill. I finished the second vote at 12:30, made it to a 1:44 plane, got right into the car and made it here. That is how important this is. We can send a message on every one of these cases. We care about them and their families and children,” he told the media. The Reyes family has lived in Meriden, Conn., since 1997, where they are respected members of the community. Two of the children are protected by the Deferred Action for Childhood Arrivals (DACA) program, and one is a U.S. citizen. After being apprehended by ICE when the family accidentally crossed the border into Canada during vacation in 2016, Reyes has reported regularly to ICE as required and has been granted stays of removal. This June he was suddenly denied and fitted with an ankle bracelet that monitors his every movement. His daughters tearfully told the media of their need for their father and their love for him. “He’s been here for 20 years. He’s part of America and he needs to stay here with me and my brother and sister,” said Evelyn. ICE has been given open season under the Trump administration. They are purposely carrying out family separation. In recent weeks they have entrapped parents by asking them to come to fake appointments at ICE for their children. Yasmine Rodríguez, a lawyer with the Esperanza Center for Law and Advocacy, says that has been the case with several families she represents. CIRA is organizing to bring the facts into the open and build strong public support to force a change in policy. “We are going to stand against policy at the national level of segregation, separation and racial discrimination that tears families apart,” said Meriden Councilman Miguel Castro as he pledged to stand by the family. “Marco works hard. His kids go to school with our kids, the family are leaders and advocates. They make a serious moral, civic and Christian contribution to our community,” he said. 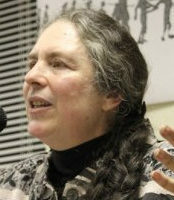 The religious sanctuary movement in Conn. has also pledged support. “I do not believe the dream of America has died,” said Reyes’ pastor Omar Herrera. “The rights of this nation and Constitution are still effective. We want to see the law of the land prevail in the way of justice for all the sons and daughters of God,” he added. The Reyes case is one of many thousands. As with Nury Chavarria, the courage of his family to step forward is giving strength to the growing movement to end the senseless, inhumane deportations that are destroying families and communities and to demand comprehensive immigration reform.